Specialty: Comprehensive treatment for lung cancer, liver cancer, lymphoma etc. After Dr. Wang Zenghai graduated from Guangzhou University of Chinese Medicine in 2003, he has been being devoted himself in clinical work. In daily work, he is good at seizing new knowledge from the cases he encounters to master the principle of cancer treatment and to apply it to practical treatment. Besides, Dr. Wang pays more attention to patient’s psychological condition. Via his patience and heartfelt care, he strengthens patient’s confidence to fight against cancer. 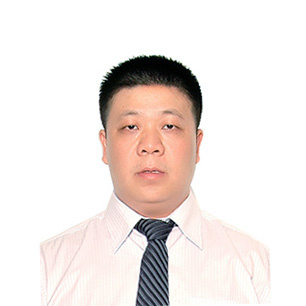 In July, 2003, Dr. Wang Zenghai graduated from Guangzhou University of Chinese Medicine. Dr. Wang has worked as a doctor for 12 years. He is conscientious and does his best to care about patients’ physical and mental condition. During the process of treatment, he constantly summarized and accumulated experience. Besides, he sizes every second to study the advanced theories and treatment technologies after work. In his spare time, what he does most is reading related information and book about the cases he met. He said, only via that, can we bring patients more professional, accurate and effective information to gain recognition from patients and their families. In order to exchange with experts at home and abroad, Dr. Wang also regularly participates in domestic and international cancer conferences to learn from others’ medical experience and knowledge.